The Wireless Sensor Network Research group (WSNRG) has published a new article titled 802.15.4 vs ZigBee which to help people to clarify with all the communications technologies which are used in the WSN field: 802.15.4, ZigBee, Mesh protocols, 2.4GHz, 868MHz and 900MHz bands… This first document compares both *IEEE 802.15.4* and *ZigBee* technologies and explains its main characteristics. Audon Electronics is offering the Edam-9000 range of Ethernet-based industrial data acquisition and control RTU devices. The Edam-9000 range is based on 10/100 Ethernet networking standards and supports the Modus/TCP protocol. The Edam-9000 also supports UDP protocol over Ethernet networking. There are six models in the range, covering voltage, thermocouple and PRT analogue inputs, digital inputs, pulse counting and transistor outputs. All have a 10-30VDC power supply range, full opto-isolation and are housed in robust DIN rail mount enclosures. Users can add Edam-9000 I/O modules to existing Ethernet networks or use Edam-9000 modules in new or existing SCADA systems. One of the great perpetrators of the United States’ wastefulness is urban sprawl, which leads to SOV (single occupancy vehicle) disorder. Many Americans drive to work, and we usually don’t carpool. Beyond driving to work, we use our cars for other things – soccer practice, forgotten items at the grocery store, and trips across our giant country. It doesn’t need to be that way. If we could break ourselves of this habit of hyper-convenience, we could have better bike lanes, rail, and bus systems. Or we could share our cars. 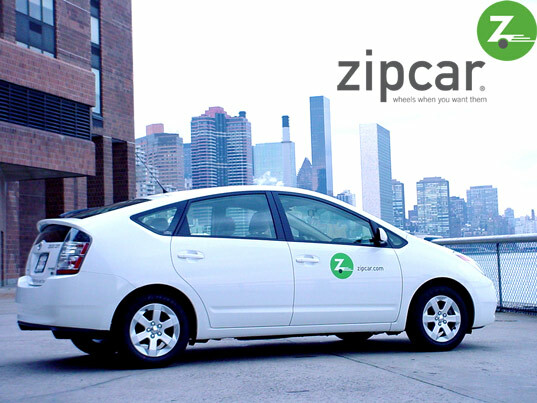 Zipcar is an innovative car sharing service that prides itself upon its convenience and accessibility. We recently caught up with Zipcar spokesperson Lesley Neadel to ask a few questions about the company’s green cred. A major disaster recovery exercise in Scandinavia relied on Inmarsat BGAN to send vital images to help emergency responders worldwide. The Triplex 2008 event on the border of Sweden and Norway used an unmanned aircraft to survey the “disaster zone”. Images captured were sent via a BGAN terminal once the MD4-1000 mini unmanned aerial vehicle (UAV), weighing just 900 grams, had landed. The annual Triplex 2008 exercise in Scandinavia, supported by the United Nations’ International Humanitarian Partnership, aimed to enhance the readiness of emergency responders for a real event. The UAV was provided by Scandicraft, while low resolution images were sent using the Asign satellite-optimised IP-based solution from Inmarsat application provider AnSur..
Vizada, a leading satellite communications provider and an Inmarsat distribution partner, provided the airtime, enabling the critically-important images to be sent quickly via Inmarsat to a UN server in Geneva, Switzerland. Scandicraft’s head of business development, Einar Stuve, said: “The combination of our UAV and the BGAN proved highly effective, enabling the first pictures to be uploaded within 10 minutes. The centre of the exercise was in Charlottenberg, Sweden, 70 kilometres (43 miles) from the Norwegian capital, Oslo. Who says water and electricity don’t mix? The world’s first solar-electric-diesel hybrid yacht will have you impressing the greenies at the Yacht Club and sailing the seas in style. The Island Pilot DSe Hybrid catches rays with a 6.8 kW solar array that’ll get you to Margaritaville and back at 6 knots with zero emissions. But if the sun ain’t shining in Cocomo, you can crank up the Steyer Motors parallel hybrid system that mates a 75-horsepower diesel engine and a pair of 36-horsepower electric motors powered by a 20-kilowatt-hour battery pack. A proposal by the Department of Homeland Security attempts to address one potential security problem with RFID-chipped passports, but leaves more obvious problems hanging fire. In an effort to detect attempts to clone the data stored on RFID chips used on US Passport Cards, DHS on Wednesday announced that it is recommending that manufacturers supplying these RFID chips include a “unique identifier number,” or Tag Identifier (TID). The cold chain monitoring solution enables fleet managers to get more control of their cold chain fleets by tracking the exact location of their vehicles whilst allowing their drivers to monitor the precise temperatures of refrigerated cargo saving them considerable costs. In accordance to EU regulation EN 12830:1999 all cold chain businesses must now supervise the exact temperature of chilled or refrigerated goods whilst in transit ColdTrak has proven to be an indispensable business asset. ColdTrak works using the very latest ZigBee technology and uses robust sensors that send precise temperature recordings from the refrigerated trailer to a central information hub or system in the cab with the driver. Should there be any changes in temperature the driver will be notified and the correct action can be taken. Industry insiders say critical infrastructure is not prepared for cyber attacks and recommend that asset owners and operators begin by taking five steps to enhance their security. SAN JOSE, CA – Secure Computing Corp., a leading enterprise gateway security company, announced the results of a study conducted during August and September 2008 in the U.S., Canada, and Europe. The study surveyed 199 international security experts and other “industry insiders” from utilities, oil and gas, financial services, government, telecommunications, transportation, and other critical infrastructure industries. Despite a growing body of legislation and regulation, more than half of these experts believed that most critical infrastructure continues to be vulnerable to cyber attack. Further, a majority of respondents said that major attacks have already begun or are likely to occur in the next 12 months. In the study, respondents were asked to indicate the state of readiness for eight different industries. More than 50% of respondents believed that utilities, oil and gas, transportation, telecommunications, chemical, emergency services, and postal/shipping industries were not prepared. For some sectors, such as postal/shipping and transportation, as many as three out of four experts indicated that the infrastructure was not ready for attack. Only the financial services industry was considered prepared, although nearly 40% believed that even this sector was not ready to defend itself. Survey participants were also asked which industry was the biggest target, which was the most vulnerable to attack, and which was the most detrimental if breached. The insiders picked the energy sector in all three cases, with 33% saying it was the biggest target, 30% saying it was the most vulnerable, and 42% saying it would be the most detrimental if attacked. An Awarepoint white paper describes critical factors required to maximize your RFID system’s return on investment. Real-time location systems (RTLSs) are an increasingly important strategic capability for a variety of business applications. RTLSs allow organizations to efficiently identify and track the location of supplies, personnel, equipment, and other items in real-time, as a cost-effective operational management tool. With the success early adopters have had with RTLSs, the question is not whether to implement, but which technology is best suited for the many applications that can benefit from location awareness. An Awarepoint white paper, “Considering a Real-time Location System? First Consider the 5 Critical Success Factors,” can help maximize your return on investment and ensure long-term success of your RTLS investment. “The implementation of RTLS technology should pay for itself as a result of shrinking the incidence of misplaced equipment, decreased rental costs, and increased utilization of equipment,” stated Jason Howe, CEO of Awarepoint Corp.
Enterprise-wide coverage—because assets and people move throughout your entire enterprise, to achieve maximum benefit, your RTLS deployment must cover every square inch of your enterprise. Location accuracy—to affect the highest impact for your strategic initiatives, room-level accuracy is a clear critical success factor. Installation and maintenance—a minimally invasive solution that does not compromise your existing IT network, does not interrupt daily business operations, and can be installed in days or weeks, is vital. Maintenance impact for hospital staff should be considered as well. It shouldn’t take a team of IT professionals to keep the system running. Interoperability—your RTLSs should be supported by standards-based technology and should offer an open application programming interface so that it’s capable of providing location and status data to both your end-users and to third-party applications. Low risk—you should partner with a vendor vested in your success. Look for a flexible business model that doesn’t require a large capital purchase or long-term contractual commitment, and allows you to easily expand assets as needed. The full white paper “Considering a Real-time Location System? First Consider the 5 Critical Success Factors” can be downloaded free off the company’s Web site.